Why would I need self storage in Greensboro, NC? There are a variety of reasons why you might need self-storage in Greensboro, NC. How much is a storage unit in Greensboro, NC? The cheapest storage unit in Greensboro, NC is $28.00 per month. What size storage units do you have available in Greensboro, NC? In Greensboro, NC we have sizes that range from 5'x5' to 25'x30' to suit your storage needs. How much is it for a 5'x5' storage unit in Greensboro, NC? The cheapest 5'x5' storage unit in Greensboro, NC is $28.00 per month. Greensboro is a vibrant city in central North Carolina, just a short drive east of Winston-Salem. With a growing and diverse population, Greensboro is one of the largest cities in the state. It is a strong economic and educational center, with a number of well-known companies and several acclaimed colleges and universities calling it home. Greensboro's sporting teams, restaurants and recreational facilities helped it earn the official distinction of one of the most fun cities in the country as well as an All-America City award. Jobs are plentiful in Greensboro, which has a strong and diverse economy and an unemployment rate that's lower than the national average. This economy is made up of a combination of declining and emerging industries, which helps keep the local job market fairly stable. Traditional tobacco, furniture and textile production industries continue to be important to the local economy, but the insurance, technology, printing and publishing sectors are on the rise. 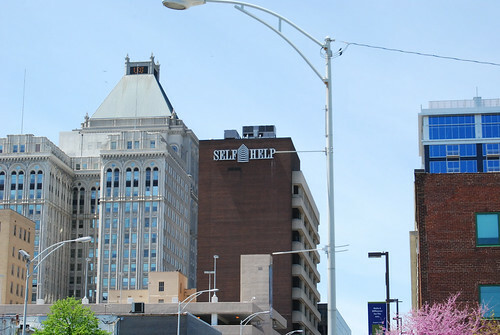 Many businesses choose a base in Greensboro due to its highly educated workforce. Nationally and internationally recognized businesses includingVF Corporation, Honda Aircraft Company, Mack Trucks and the International Textile Group are all headquartered in Greensboro. Greensboro has a variety of attractions and activities, ranging from arts, culture and history to sports, shopping and theme parks. Whatever your interests are, you'll be able to find something to suit you in the city. The Greensboro Coliseum Complex is a large facility that hosts sports events, concerts and more. It's been the site of several NCAA basketball tournaments, the U.S. Figure Skating Championships and performances by some of the biggest names in the music industry. You can also enjoy a variety of conventions, fairs and educational events at the Coliseum Complex. Greensboro has a rich history and is a particularly important place inthe civil rights movement. Today, you can visit the former site of the famous Woolworth's counter sit-in, now operating as the International Civil Rights Center and Museum. Or to venture even further back in the city's history, you can visit the Guilford Courthouse National Monument. The site commemorates the 1781 Revolutionary War battle that played a significant role in the eventual American victory. The city also has extensive green spaces and natural preserves, including the Bicentennial Garden, the Greensboro Arboretum and Hagan Stone Park. In 1901, Captain Basil J. Fisher transformed Fisher Park from an overgrown swamp into one of the most desirable neighborhoods in the city. The neighborhood's turn-of-the-century residents built expansive estates on large lots, and many of these homes still stand today. College Hill, settled in the 1840s, is widely regarded as Greensboro's very first neighborhood. Today, its proximity to the University of North Carolina at Greensboro has attracted a mix of students, university professors and families. The Southside neighborhood is one of the city's more urban communities, mixing new developments with historic Queen Anne mansions. It's won a number of awards for its smart planning and resident-friendly design. Aycock is home to a number of historic homes, and its not unusual to see large front porches, colorful paint and uniquely-shaped windows on many of the houses. It's also the site of the World War Memorial Stadium, a former baseball field that hosted greats including Jackie Robinson and Mickey Mantle. The Guilford County Schools district serves the public schools of Greensboro. The large district is divided into four regions, each with its own office, regional superintendent and support staff. Many of its schools have received national recognition for their high academic achievement. If you'd prefer to enroll your child in a private institution, Greensboro has many options including faith-based, Montessori and STEM-focused schools. There are also two boarding schools in the area. Greensboro has a large, varied collection of higher education institutions, so if you're planning to pursue a degree in the city, you'll have plenty of options. Utilities: Duke Energy supplies the area with power, while the city manages water and sewer services. Garbage and Recycling: Trash and recyclables are collected curbside on a weekly basis. Bulk items are picked up twice a month. Transportation: Public bus service is offered throughout the city, with a special network connecting the local colleges and universities. Piedmont Area Regional Transportation provides several routes throughout the greater metropolitan area, making the surrounding cities easily accessible. Greensboro's homes are very affordable, especially when compared with the national average. This makes the area attractive toretirees and other newcomers on a tight budget. The city offers a mix of large single-family homes and more modern and compact apartments in many different neighborhoods. Our lowest priced units in Greensboro, NC average $45.56 per month. 444 people have reserved units in Greensboro, NC in the past 30 days. There are 9 locations within Greensboro, NC's city limits. There are 5 locations in Greensboro, NC that offer AC and Heating features.